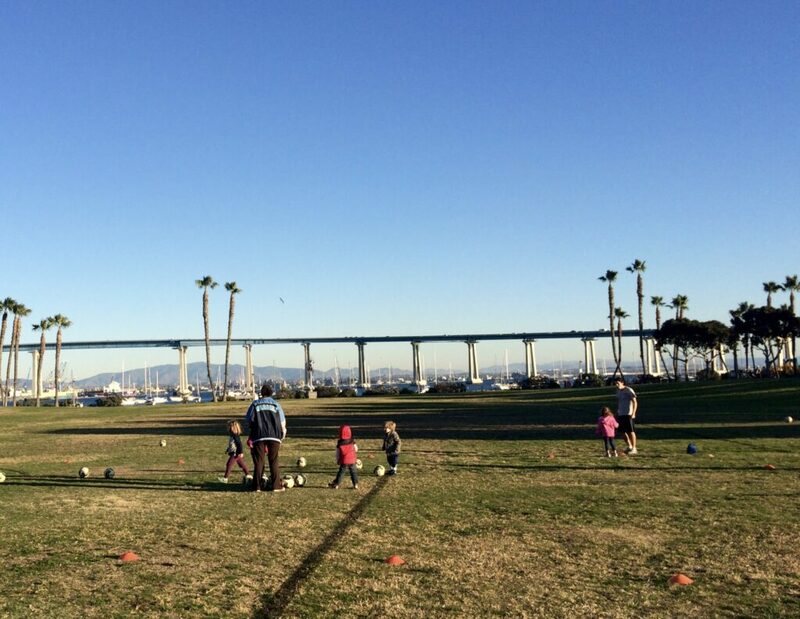 Little Rascalz Soccer practice at Tidelands Park in Coronado. Since Little Rascalz Soccer School began in April 2005, the program has made a name for itself as a non-competitive, play-based introduction to soccer. There are no weekend games, no team-on-team competitions, and no hard and fast rules, other than for kids to have fun and get their feet on the ball. Beth Hooshidar (‘Coach Bethy’) started the program with her husband after she spent years working as a preschool teacher and nanny in her native England. 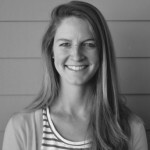 “One day,” she says, “I took the kids that I cared for to soccer classes, and I watched them, and I thought, ‘That’s not the way to teach preschoolers! They are a different breed!’ You can’t take what you do for all the children and dumb it down. They have a different attention span, everything about them is unique, it’s a unique age. 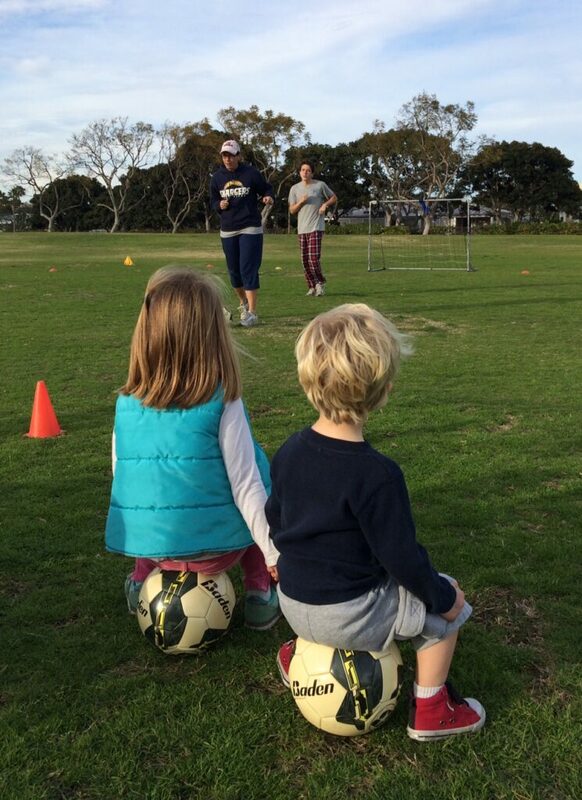 Two little soccer students watch Coach Karen and her assistant demonstrate the next game. 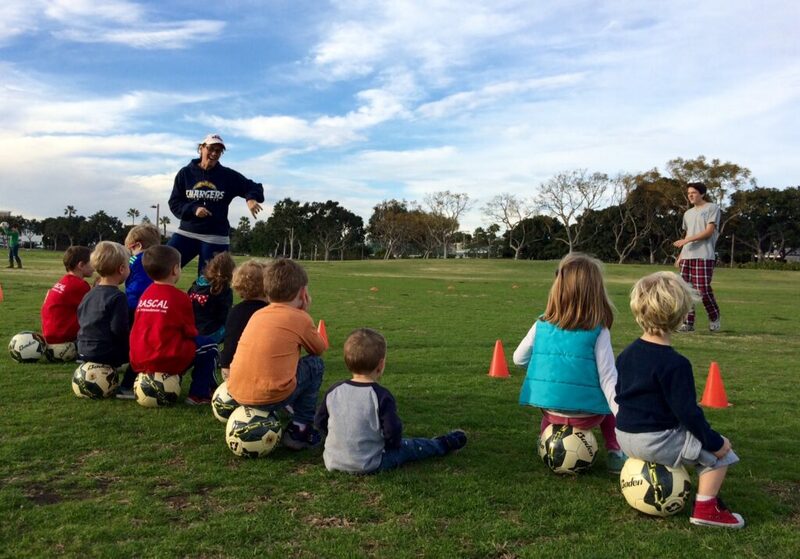 Currently Little Rascalz offers soccer classes every day of the week except Sunday, and in seven locations throughout San Diego. Parents can sign up their kids for morning or afternoon sessions, and the age groups include toddlers (Mommy & Me), “three-ish to five-ish,” and a “veteran” class for four- to six-year-olds. “What helps us the most is that we have no modesty about our program. It really is superb,” explains Beth. “We wanted to make it parent-friendly, not just child-friendly.” For this reason, Little Rascalz offers make-up classes with no expiration date and will refund you the class fee if your child doesn’t like the class. What about when children move from Little Rascalz to actual competitive soccer teams, like Nado Soccer? Does Little Rascalz prepare them well? 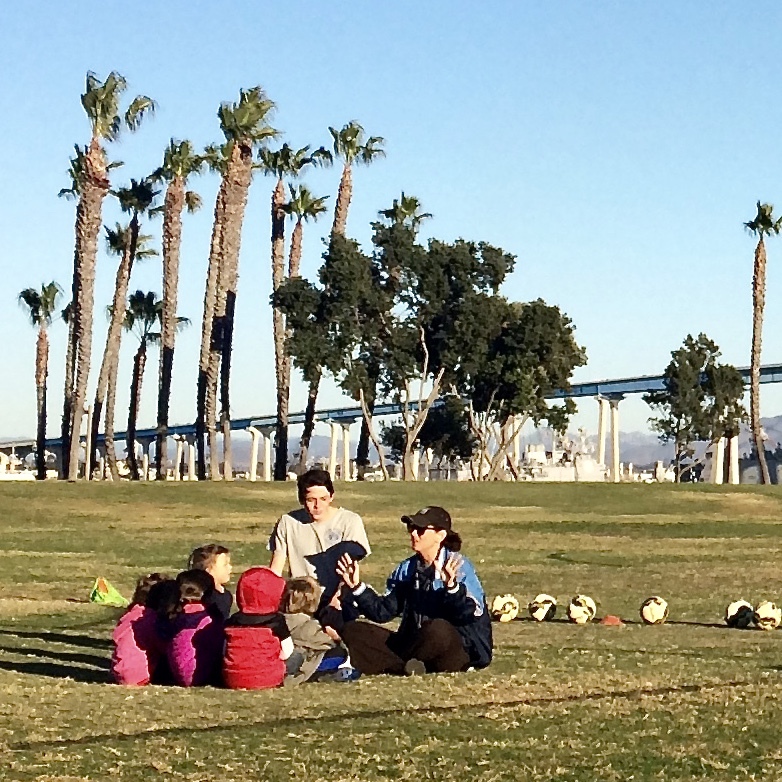 Coach Karen teaches a 3- to 5-year-old class in Coronado at Tidelands Park. Laura Horton, a Coronado local, echoed Caitlin. “Little Rascalz has been awesome for both my kids for different reasons. My oldest son is a very strong-willed, authoritative kid, and it was great having a low-key environment where he was able to play soccer-based games with a common goal without the “game” scenario. For my daughter, who was more shy, she was able to really use Little Rascalz as an activity to branch out socially in a safe and fun environment. Coach Karen and assistant, Christian, with her students. On that recent January day, Coach Karen followed her kids across the field one last time, encouraging again just “little kicks, little kicks, no big kicks!” That phrase in Little Rascalz’ soccer classes, explained Beth, encourages kids to get both feet on the ball right away and to use both feet equally. Little kicks encourage patience, perseverance, and confidence, which Little Rascalz is all about. As Coach Karen wrapped up her class that day, she was laughing and calling out the final cheer as loudly as her little students were. Just like Little Rascalz’ founders, she hoped that this simple, 40-minute outdoor play each week instilled in those kids (and their parents) a healthy attitude toward sports and games that lasts them their whole lives. It all starts with little kicks. For more information or to observe a class, click here. Becca is a Coronado local, military spouse, mother of three, and an ICU nurse on hiatus. In Coronado, you will find her at the playground with her kids, jogging to the beach, or searching the Coronado library for another good read.Have news to share? Send tips, story ideas or letters to the editor to: manager@coronadotimes.com.